The Palm Beach Heartstrong program officially kicked off at the Max M. Fisher Boys & Girls Club in Riviera Beach, FL, yesterday. 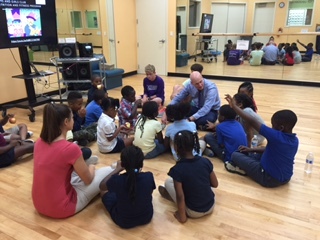 Dr. Jeffrey Fenster had the immense pleasure of meeting with 25 boys and girls between the ages of 6 – 8 to teach them the basics of health, nutrition, and physical fitness. Dr. Fenster and his staff dietitian began the eight-week program with fitness stations, where the kids learned how fun it can be to move their bodies, and hip-hop videos about the heart and circulation. Everybody was up and dancing! After the fun and games, Dr. Fenster sat down with the kids to have a question and answer session. These children were so thoughtful and engaged – they had great questions from the videos, and told Dr. Fenster all of the things they learned about the circulatory system that they didn’t know before. 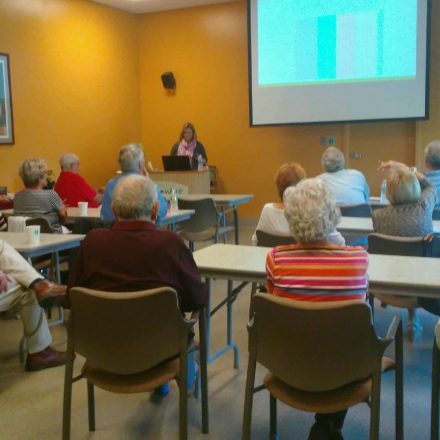 They discussed how fitness affects your health, why nutrition is important to live longer and healthier, and how a healthy heart equals a healthier life. Dr. Fenster and Palm Beach Heartstrong are so excited for the next two months, meeting more children at “The Max” and teaching them as much as possible about heart health. Upcoming sessions will include more fun and games centering around choices we can make from an early age that will last a lifetime: choices like refraining from smoking, making healthier choices during meals, enjoying exercise, and including the whole family in staying fit, healthy, and happy. Everyone at the Cardiac Institute of the Palm Beaches and the Palm Beach Heartstrong program is honored to be working with the Boys & Girls Clubs of Palm Beach County. More than anything, our goal is to strengthen our community from as many perspectives as possible. Please contact The Max at (561)842-5234 with any questions about how you can get involved at The Max or any of the Boys & Girls Clubs programs throughout the county. 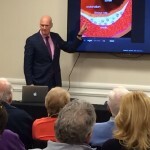 To learn more about Palm Beach Heartstrong program at the Cardiac Institute of the Palm Beaches or Dr. Jeffrey Fenster, please call (561)296-5225.